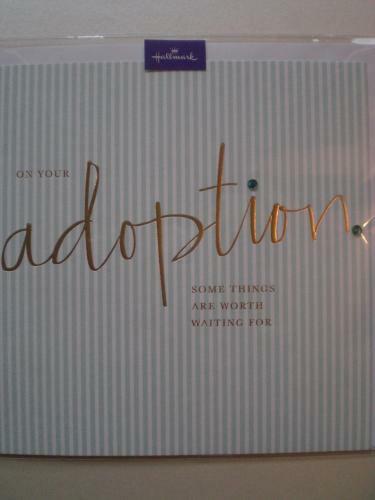 With gold foil wording and little gems this is the perfect card to send to someone who has found their forever family, suitable for a male or female. The message inside reads "Congratulations on your forever family. With Love."